When you are sitting at the office, being swamped with work, surely the next step would be to wonder whether there are other times available on the calendar to take a break? 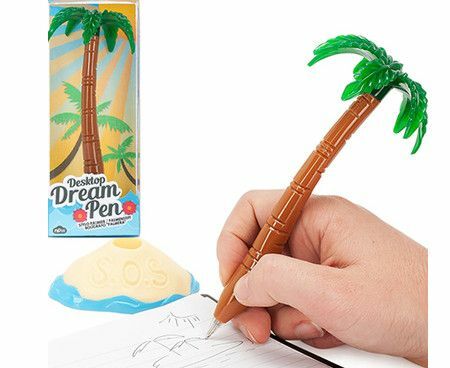 Well, as an added incentive, you might want to get the $6.99 Desktop Dream Palm Tree Pen to spur you on. Yes, that is right, a pen that will give you a constant reminder each time you write a memo or pen down a thought, since it comes in the form factor of a palm tree, evoking scenes of swaying trees among the beaches, and the ilk. Aloha!